Composite Creations’ marketing strategy to date has been to work with relationships developed by the founders over the years and by referrals. 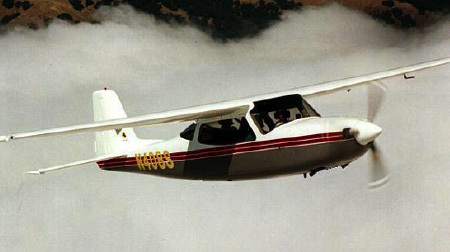 Manufacture, market and provide technical support for the Gweduck 6 place flying boat under license from Ellison-Mahon Aircraft of Renton, Washington. For more information see the links and the Gweduck website. 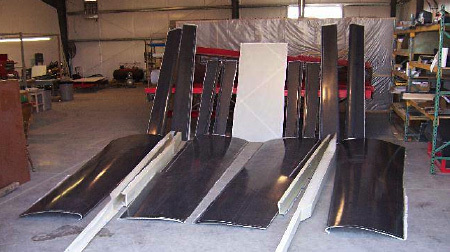 Manufacture of the thermal deicing composite parts for Lancair aircraft and mods for the Lancair evolution for RDD Enterprises of Redmond, Oregon. 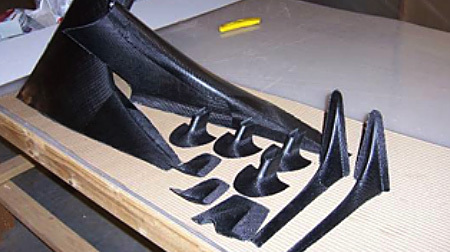 These are complex parts using OAA prepreg carbon fiber and fiberglass. 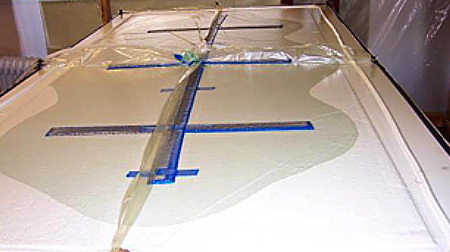 The deicing parts have stiff heating elements with attached wires that have to laid up in the part. 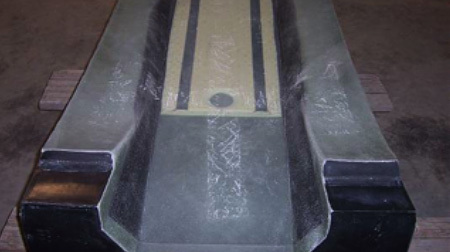 The mod parts use large deep narrow one piece molds with a complex layup schedule. 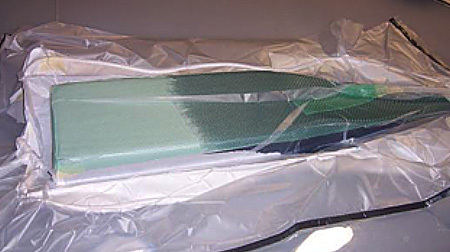 Previously the exclusive manufacturer of the carbon fiber parts for the Stallion, designed and developed by Martin Hollmann of Aircraft Designs, Inc. 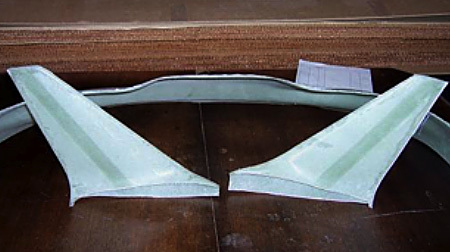 According to the ADI website, “They do fantastic composite fabrication work for a very reasonable price”. See the pictures below. 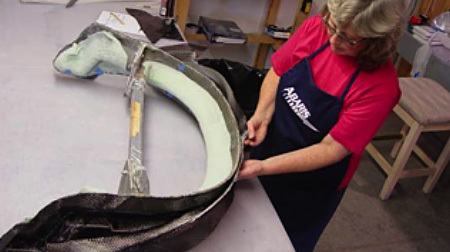 These parts include wing and horizontal stabilizer parts made of prepreg carbon fiber cloth with nomex honeycomb core; wing spars made of unidirectional prepreg carbon fiber tape and foam cores; and flat stock made of prepreg fiberglass cloth with nomex honeycomb core. Martin was a good friend and we are saddened by his passing in October 2012. We purchased his materials testing equipment and his ground vibration test equipment from him and his widow. Manufactures parts for Lancair customers who got to know Vern and Linda when they were part of the Lancair organization. 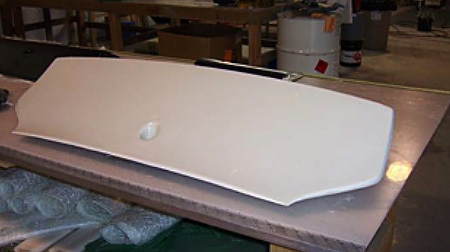 These parts were developed by Lancair customers as mods and include instrument panels, bulkhead supports, winglets, belly tanks and NACA scoops for the Lancair IV and the Legacy. The Stallion is a six place high wing, retractable gear kitplane designed to fly at 200kts. Designed by Martin Hollmann, it is made of prepreg carbon fiber and fiberglass with nomex honeycomb core. Stallion with parts fabricated by Composite Creations, Inc. Stallion wing kit parts are ready for shipment. 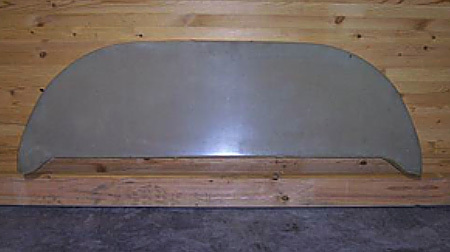 Parts are built by Composite Creations, Inc. The Stallion has one of the largest, all graphite wings of any kit aircraft on the market today. 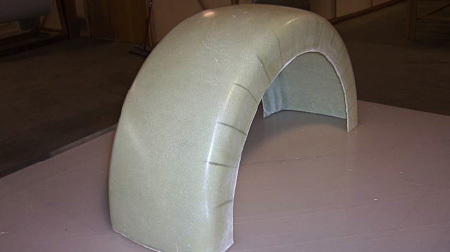 Composite Creations, Inc. fabricates these fiberglass jet body parts for one of the world’s most unique limousine manufacturers. Strong, lightweight, and built to perform, these parts are built to tight tolerances and specifications and must withstand the stress of continual performance on a daily basis. 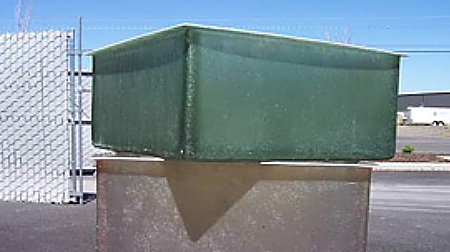 Composite Creations can make most anything using modern composite processes. Call us for a consultation on what you need.